So, this week the gang and I are launching our first YouTube video! We’ve never done this before, so this is new and exciting and a tad-bit nerve-wracking. The first video is supposed to be about – no, I won’t tell you here. Just go and watch it, OK? That would be awesome! 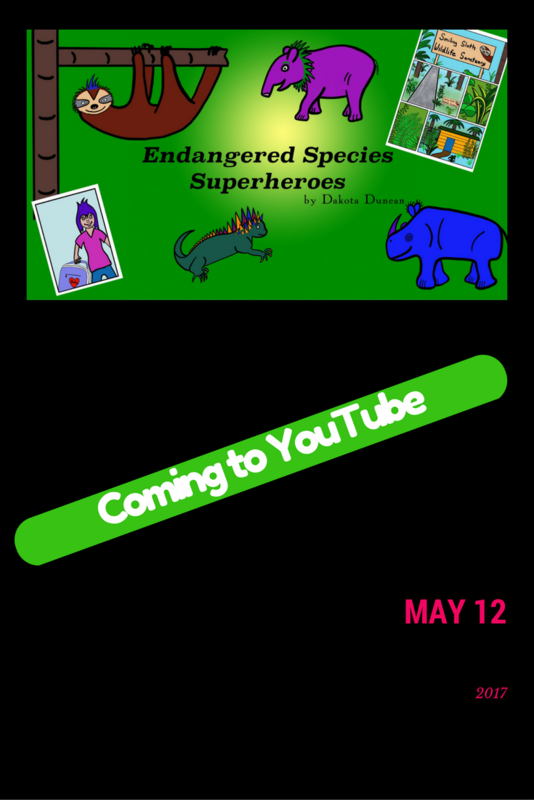 I don’t even have a link to share quite yet, but I suspect if you do a search on “Endangered Species Superheroes” you will find it! In the first few videos I experiment with different styles because I am not sure what people will most enjoy seeing. I plan on blending some day-to-day life stuff with superhero action and also will include information about real world endangered species and environmental topics. Please sign up for my mailing list so we can keep in touch. From time to time I’ll send free printable posters, information about wildlife, and other cool stuff. I promise not to send too many emails because that is just annoying. Also, I would love to hear from you – about what you would like to see, what or who you want to learn more about, ideas for future videos..etc. You can help me – and the ESS – develop our YouTube channel into what you most want to see. Just use the “Contact Me” form on this website, or follow us on Facebook or Instagram. It’s a busy week, so I best get going now. Check us out YouTube this Friday, May 12, 2017 and be sure to subscribe! Have a great week everybody! I wanted to acknowledge that I am not currently producing any videos. I found that while they were fun to do, they were very time-consuming and were taking away too much time from illustrating the first Endangered Species Superheroes graphic novel. I am leaving them up for now, for fun, and as a bit of history of where I’ve been.